SGK Home Improvement offer a complete range of windows in a choice of materials. With many years experience serving the local area, we are not tied to any particular system. This means we can provide exactly the right windows to meet your budget, your wishes and your style of home. 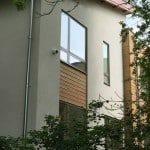 Whether you are looking to replace your old timber or metal windows, you are constructing a new home extension or building a new home, we can help. Our Windows are manufactured by trusted and expert suppliers to precise and exacting standards. This means that we can provide you a whole range of windows that are of exceptional quality yet affordable. 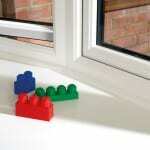 Our PVCu windows are technically advanced, latest generation and unlike many you will find on the market. We provide windows offering the very best in window energy ratings, security and performance. Our range of windows is suitable for those looking for high quality windows at the lowest possible price up to bespoke timber look or PVCu windows for specific projects and installations. Find out more. Let SGK Home Improvements show you our innovative range of state of the art aluminium windows. Selected for their uncompromising attention to detail, quality, security and energy efficiency, find out why we are the area’s local specialist when it comes to aluminium windows. 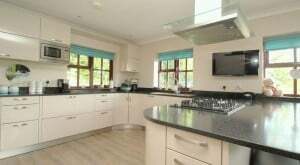 For the replacement of old timber windows but without the cost or anticipated maintenance, we offer a top quality range of timber look windows. Expertly designed and crafted they provide affordable yet authentic solutions for properties requiring timber windows. Quality, Security and Energy efficiency come as standard. No matter what product you choose from SGK Home Improvements, and with our expert help you are guaranteed the best in quality, security and efficiency. All our windows will meet or exceed the current standards for high security such as Secured By Design. We offer a choice of A, B or C Energy rated windows and doors. All come with the very latest in high specification glass for additional peace of mind. 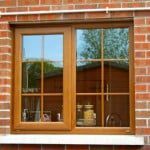 You will also benefit from windows designed to keep your home safe, secure and warm saving you money on your energy bills. But you will also benefit from a whole choice of designs, styles and types. SGK Home Improvements – your local door and window experts. Contact us to find out more about our high quality range of windows all installed by a company that gives you the benefit of our local experience, expert window and door knowledge and care.